Barbara Arzymanow was elected as a Conservative Westminster City Council Ward Councillor for Bryanston and Dorset Square in May 2018. Since 2014 she has served the residents of Westminster and took roles in adult health, public protection, Council finances and children’s services. She served as a Board member of City West Homes, as a Governor of the Westminster Adult Education Service, and from 2012 to 2018 was on the Governing Board of two affiliated maintained Westminster nursery schools. 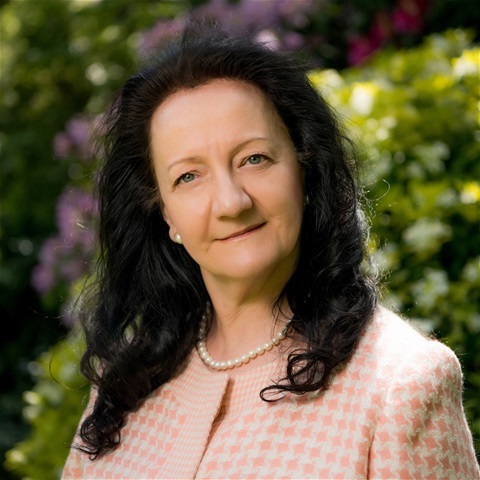 Barbara was a founding director of an independent healthcare consultancy firm, True Research Limited (established in 1999), working professionally as an investment analyst specialising in Pharmaceuticals, prior to which she carried out academic medical research in university laboratories. Her experience, obtained entirely from outside the pharmaceutical industry, has given her a unique perspective independent of commercial lobbies. She has extensive experience in financing the biotechnology industry, which is vital for the long-term standing of medical research in the UK. She has always been inspired by the scientific excellence within the UK and would like to see collaborations between industry, the NHS and academia strengthened. She has been a director at Kleinwort Benson and Robert Fleming (investment banks). In the early 1980's she was an author of a number of publications in medical journals. In the second half of the 1980's and early 1990's her pharmaceutical investment analysis team was consistently voted as the best in the UK (e.g. in the annual Extel Survey). She played significant corporate finance roles in the first major transatlantic drug industry merger (SmithKline with Beecham) and in the flotation of the first biotechnology company on the London Stock Exchange. She is an Associate of the think tank 2020health, contributing opinion pieces and thought leadership on a variety of healthcare related topics. Interests outside politics and healthcare include charitable work with the Polish YMCA (Polska YMCA), where she serves on the Management Committee. In addition, Barbara is the Treasurer of the Upper Chine Old Girls’ Association which gives her a welcome opportunity to visit the Isle of Wight to relax by the sea, take scenic walks & cycle rides.